With the summer holidays finally upon us you may be asking yourself ‘What shall we do this summer?’ Never fear! We are here to help! In a city steeped in history, why not try the Dewa Roman Experience? Starting within a fierce roman fortress; you and your family can have a tour around the beautiful city by a roman solider! Visiting the incredible amphitheatre right through to legendary barracks, you’ll feel as if you were there yourself! Just remember your left and right! Chester isn’t all about the Roman Heritage, it also boasts the stunnings Chester Zoo! With hundreds of acres live hundreds of different species of animal! One moment you’ll be in the rainforest and the next you’ll be on the African sands. Not bad for one day! There are also daily talks and experiences to immerse yourself in. So, what are you waiting for? 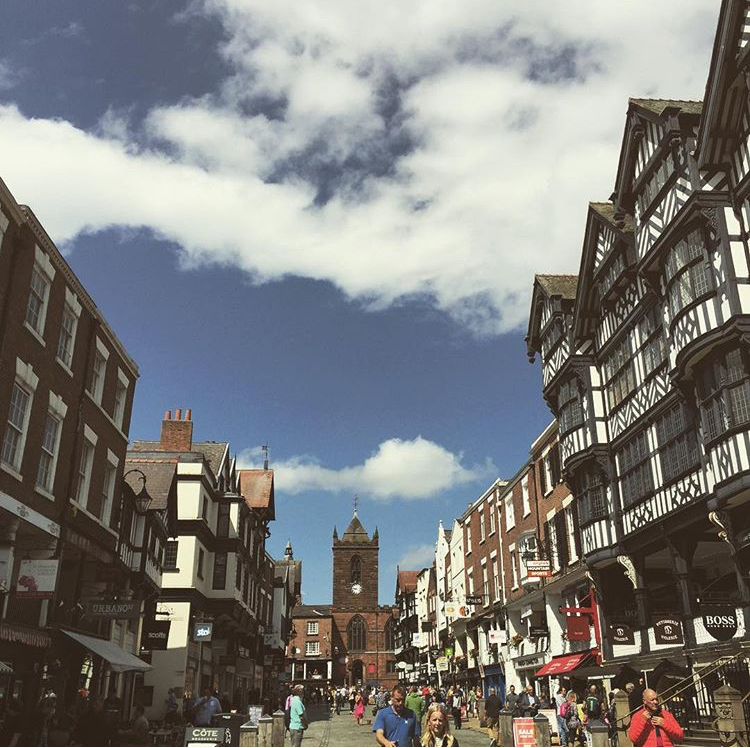 If you just fancy strolling around the beautiful city whilst having fun with the kids, The Chester Treasure Trail is just the activity for your family. As the trail takes around 2 hours, you can take in the sights of Chester whilst the kids learn about it’s deep history with different plaques and historical buildings! If you fancy learning even more about Chester, The Grosvenor Museum takes a journey through 2,000 years of Chester! If you don’t want to explore by foot then you should hop onto a City Sightseeing Chester Hop On Hop Off Tour bus! See the sights from the comfort of the top deck! Or cruise the famous River Dee on a Showboats of Chester boat! Take everything in whilst you relax on one of 3 showboats! If it’s something a bit more active that you fancy then jump on this: Flip Out Chester boasts hundreds of inter-connected trampolines across a huge site, so you can bounce, flip, free run and jump your way through the centre! Not only this but you can play dodgeball, try out the Ninja Warrior course AND let the smaller ones try out the foam pit and kids stunt box zone! After all that activity, you’re bound to have worked up an appetite! The on-site American Diner provides something for all the family. However, if you just fancy pitting your wits against some crazy puzzles (who doesn’t want to?) then Breakout Chester is the place. With 7 rooms ranging from 3* difficulty to 5*, with different themes, there’s something for all the family. Whether you want to solve a murder or visit the saloons of the Wild West, we’ve got you covered! Situated in the centre of Chester we’re easy to find! If you’re travelling around the UK this summer, we also have sites in Cardiff, Liverpool and Manchester. We look forward to seeing you!